In this 15 minute short we come in on Susan, a news photographer being telephoned by her editor, Ed, played by Stephen Moyer. He asks her to cover a meeting between two rival gangs. While covering the gang meeting, she gets hurt and we next see her in her home recovering. She starts to watch the news and a child has been abducted and we learn from the frantic calls from her mother that Susan has been through child abuse herself.Unfortunately, Stephen Moyer is not seen in the film, and he thought it important to participate because of his love of children. Stephen Moyer is only in this short while on the phone so, there aren’t any Stephen photos. 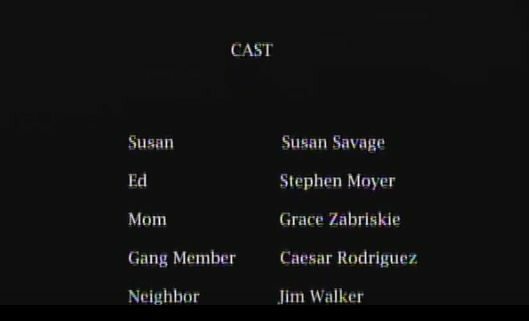 However, you get to hear his lovely voice in the video located under the VIDEO TAB, but here’s the credits where you can see him listed in the credits. Thanks to LifeIsNotEasy for finding this video.